John Cage’s avant-garde compositional procedures, which value chance and avoid deliberate meaning-making, have had nearly universal application in the arts—in painting, poetry, and, especially, dance. 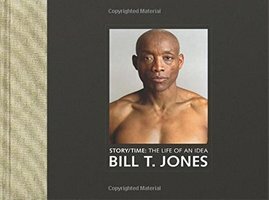 In Story/Time, a collection of performance texts and lectures that reckon with the composer’s influence, the renowned choreographer Bill T. Jones describes a 1972 encounter in tones of awe. More than the music itself—“the sounds were of nature in constant interactive flux with electronic drones, whirring, whines, tweets, and scraping metallic noise”—what impressed the young drama student was Cage’s air of “sophisticated ‘remove.’” It suggested a “world of ideas,” inhabited by unassailable people who had rejected the pressure to connect and entertain. This attitude differed sharply from what Jones had learned thus far about life and art. He was a first-generation college student raised among migrant workers in upstate New York. He’d grown up watching “standard American fare” on TV and reading the Emily Dickinson assigned in his public high school. Sensitive and closeted, he felt alienated by what he perceived as the militant attitudes of his politically active classmates. He was “uneasy” with their “hurly-burly . . . counterculture,” and with the prevailing notion of art as the “individual pursuit of masterpieces.” Cage’s ideas of “non-intention” floored him. The composer’s disregard for his audience, his willingness “to not be liked,” was at once liberating and soothing. For years, Jones has listened to audio recordings of Cage’s 1958 lecture “Indeterminacy” to relax.